We are in need of soups, ravioli and plastic bags this month! This ministry exists to feed the hungry children of Grant County. 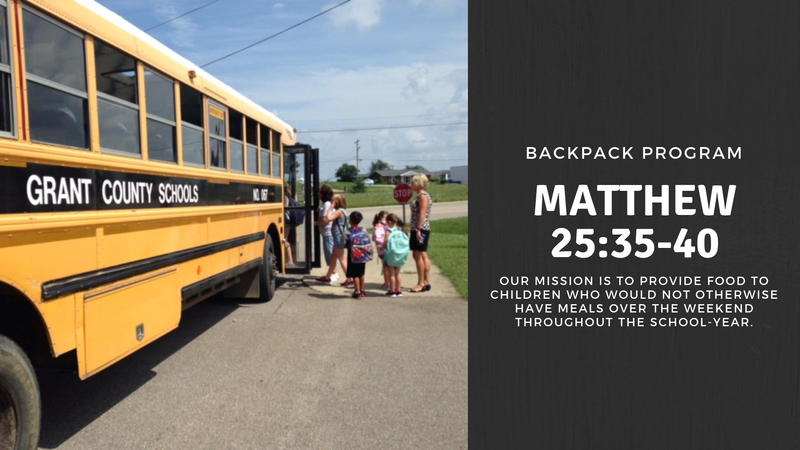 We distribute backpacks with food every weekend during the school year to reach the physically and spiritually hungry. Revive currently furnishes 35 Backpacks per week to send home to kids in need! How can you help feed the hungry in our community? Donations can be dropped off at the Hub.